User experience is an integral part of any website design and there is no doubt about that. However if there’s a single industry where user experience matters more than anything else is, of course, hospitality. Hospitality is all about meeting and exceeding guest expectations and providing stellar guest experience from the very first touch point till the last. And in the digital era that we live in, hotel website is quite often where the guest experience with a hotel starts. At least that’s what every hotel brand strives for: direct bookings. 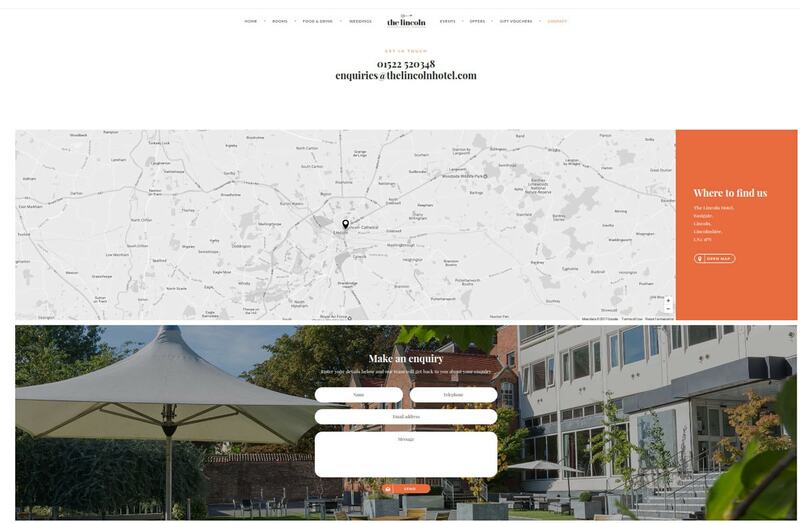 So as a hotel owner you want to make sure the user experience of your website is as good as the guest experience in the hotel itself. To do so you need to understand why travelers visit your website in the first place. What are the main traveler intentions? Once you know the answer to this question, you will be able to meet traveler expectations with a matching, user-friendly website. As a designer you will need a little bit more insights into hospitality industry and traveler behavior analysis to come up with a well-thought user experience flow that actually converts. 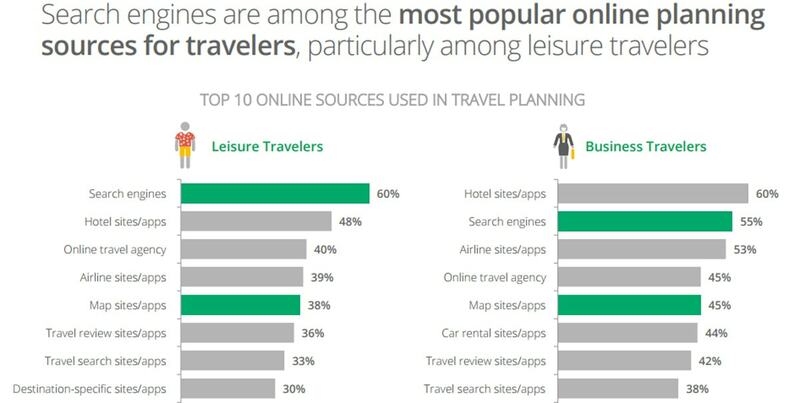 According to a study conducted by Google, on average 60% of travelers are turning to search engines first vs. hotel website for online trip planning. Compare prices on your website versus online travel agencies, like Booking.com and Expedia.com. Get more information about the hotel, like extra services, more photos, videos. Check to see if there are any special deals or package offers for selected dates. Contact the hotel directly to arrange for custom requests or direct bookings. Generally, these are the main guest intentions when visiting a hotel website. Now let’s see how exactly we can design the user experience to cater to those needs. This should be your mantra. Nothing else matters, not your aesthetics or taste, not even user’s taste. You might think this is not how user experience should work, but as long as the website converts well, you are doing the right thing. And that said there is no success formula for a hotel website. However, there are some best practices you should consider. FIrstly, the booking window should always be in a visible spot and be clear with less design and more usability. Secondly, users need to be able to compare room types, rate types easily to make decisions quickly. We need to help them decide by clearly articulating rate differences and providing a good amount of visuals for room types. Last but not least, ask as little information as possible upon check out. Make sure to provide a clear summary of the booking and optimize the checkout form according to numerous research and best practices. There is no need to explain the importance of having a mobile ready website. But we should stress the benefits of thinking mobile first, which means designing for mobile screens first and then taking it all the way to the biggest screens possible. This is especially important for travel industry where users make purchase/booking decisions on the go and there is a sense of urgency, which means you need to design for maximum usability rather than maximum functionality. Although it is best to provide the same functionality to mobile users as to the web users, but if you can’t, you might want to provide a link to view the full website. When it comes to hotel bookings, users crave high quality photos of every single corner of your hotel, including hotel grounds, indoor, exterior, all of the facilities and especially room photos. One of the reasons users check multiple websites before booking is to find the most accurate information about the hotel, better quality photos, videos to make a more informed decision. So be sure to implement all of the techniques for faster loading. User experience and customer experience in a traditional sense are closely related and can’t exist without one another. Your website UX can thus make or break your hotel’s overall guest experience. So it’s best to start providing exceptional level of customer service from the very first touchpoint which is quite often your website. This is one of the biggest advantages of a hotel brand website as opposed to aggregators like Booking.com, Expedia, etc. These online travel agencies can never provide the personalized guest service on their website the way a hotel can. First, make sure there are multiple ways to get in touch with your hotel on your website; landline phone number, skype, contact form for reservation related inquires and special requests, as well as a live chat. Secondly, offer special add-on services, which are not available on any other sales channel. It can be as simple as a welcome drink, but you can also go all the way and offer all your paid services to be booked online, perhaps with a small discount. These will make the user feel the difference when booking with a hotel directly. One of the most important factors affecting customer buying decisions is social proof, which comes in so many different forms: testimonials, reviews, video blogs, social following, etc. Hotel guests are no exception. In fact, according to Tripadvisor, “77% of travelers always reference reviews before booking travel accommodation”. But the tricky part here is the source of the reviews. If you want to enhance your website’s credibility and provide social proof for your guests, you need to showcase reviews from a trusted and well-known source, which is undoubtedly – Tripadvisor. While this might not be the most aesthetically pleasing addition to your website design, but adding a tripadvisor reviews widget to your homepage or designated landing page is much more convincing than your own website reviews. Building a strong hotel website is a challenge both in terms of marketing and in terms of UX design. It usually takes more than one iteration to end up with a functional, conversion-optimized and user-friendly website, so make sure to make data-backed decisions and always test with real users.